Considered our best selling accommodation, our gorgeous 47sqm Luxury Rooms are bathed in subtle touches of colonial splendour, a reflection of the regions rich history and legacy. Our rooms combine luxury with the comforts of a home away from home, offering superior amenities and unrivalled views. 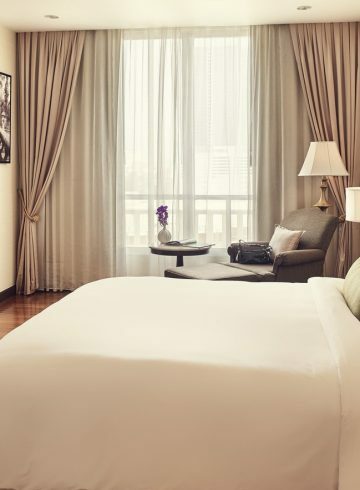 With our custom designed King sized Sofitel MyBed, a dreamy night sleep is more than guaranteed. A perfect choice for guests who wish to rest well after a long day exploring the city’s many exotic sights. 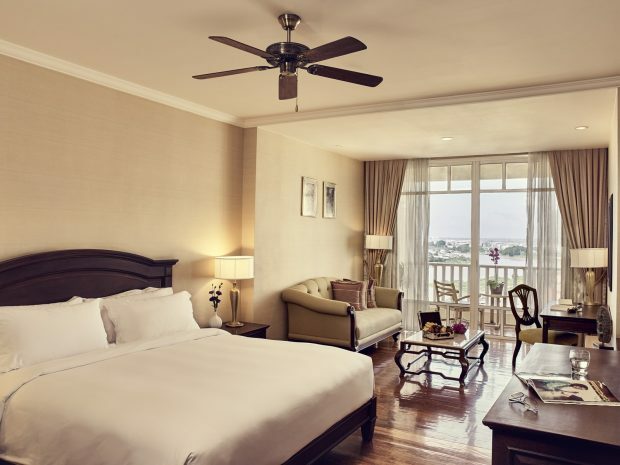 Each room also features a private balcony, ideal for absorbing all the stunning landscapes and views of the hotel grounds below while enjoying a cold drink from the fully stocked minibar. Consider this your tropical sanctuary, a place to unwind while still exploring the country’s diverse offerings. Indulge in our high-quality entertainment system, including complimentary Wi-Fi and 42-inch flat-screen TV with a DVD player. The wall-mounted system offers full audio and visual HD connectivity for your viewing and listening pleasure. Or for individuals who wish to delve into themselves and their experiences, our custom designed writing desks are the perfect place to reflect while putting pen to paper. 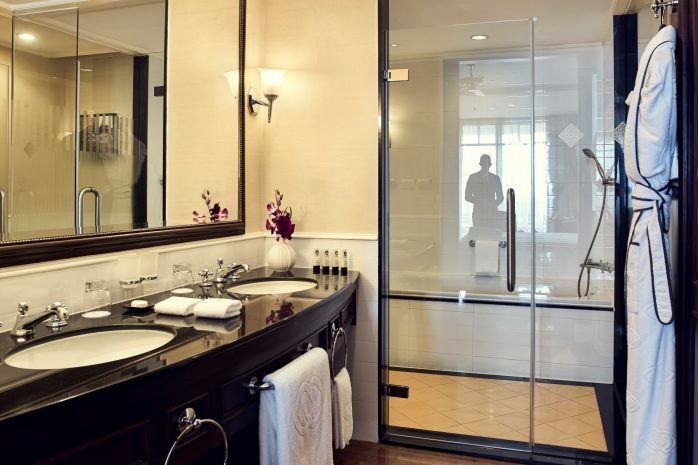 The luxurious bathroom is fit for indulgence with a separate bath and shower. This personal tranquil oasis is the perfect place to unwind while treating yourself to an array of lavish health and beauty products from celebrated lifestyle brand Lanvin. So why not gift yourself a get away unlike any other.